Our beautiful lake view home has mountain and lake views galore. Our home is situated across the street from the Lake on a quiet road. Enjoy the sunny deck or Dollar Point’s private pier, beach, pool and tennis courts all summer long. Great home for gathering friends and family off all ages. Enjoy the beautiful lake view from most rooms in the home! Located in desirable Dollar Point neighborhood minutes from Tahoe City. Pet friendly! This luxurious home is located in the popular Dollar Point. 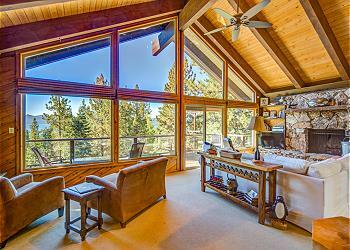 Comfortable furnishings and open floor plan with amazing views of Lake Tahoe. Panoramic Lake view's and warm fire after a day winter fun! 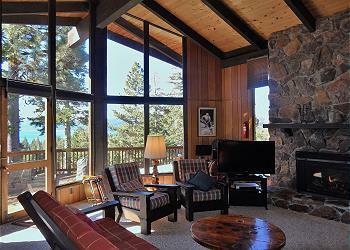 Dollar Point Lake view Getaway is a 4 level chalet facing the lake. Enjoy beautiful filtered view of the lake and mountains. Great home for family and friends! Dollar Point amenities include pool, tennis, pier, beach, and more! Beautifully remodeled Tahoe City home in Tahoe Park with a nice lake view and Tahoe Park HOA access. Close to major trails, ski resorts, and beaches.